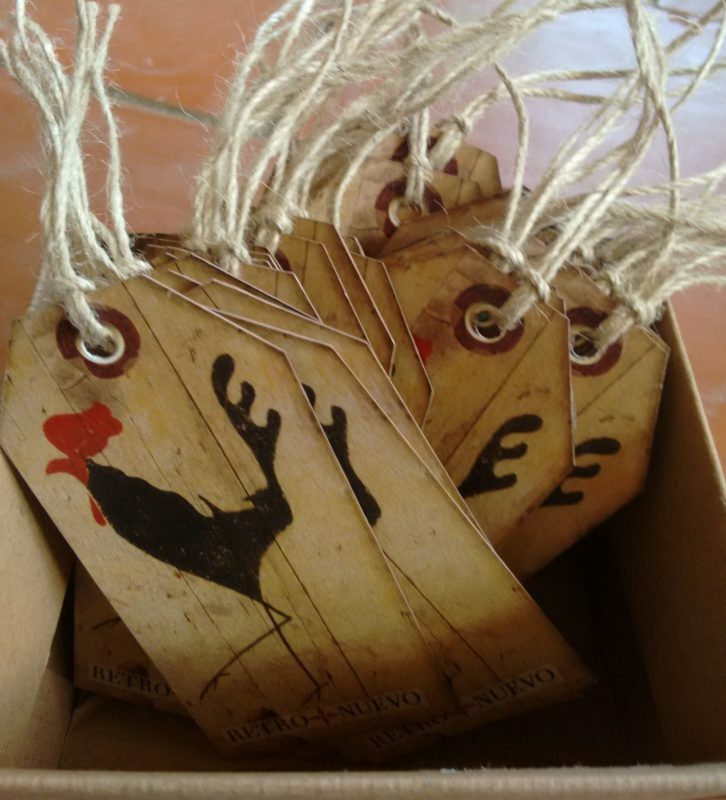 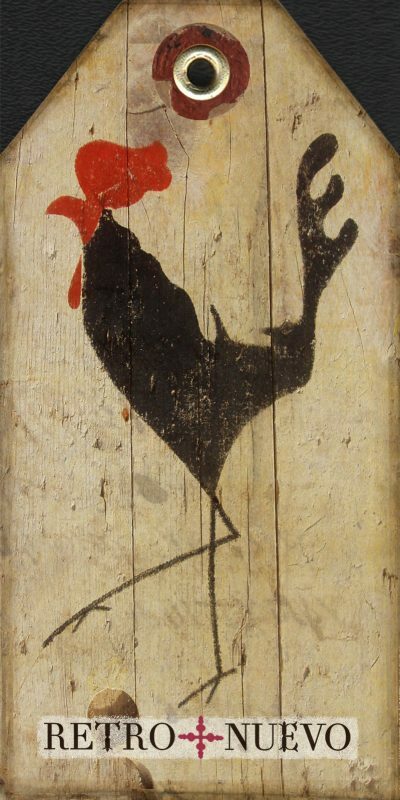 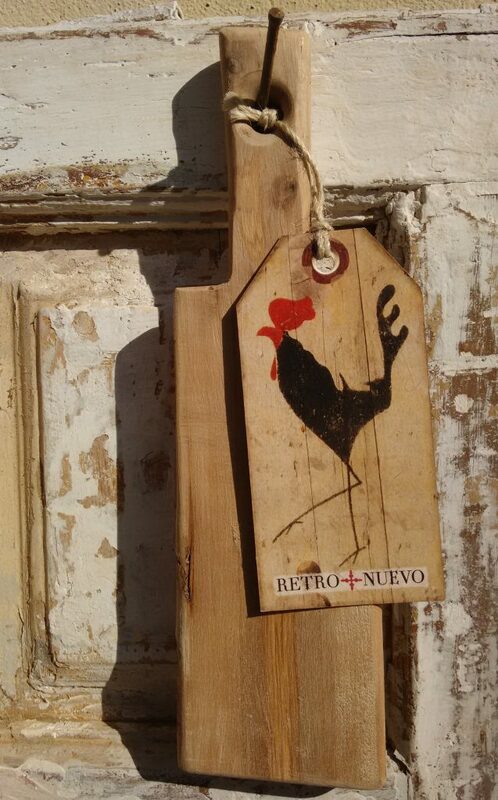 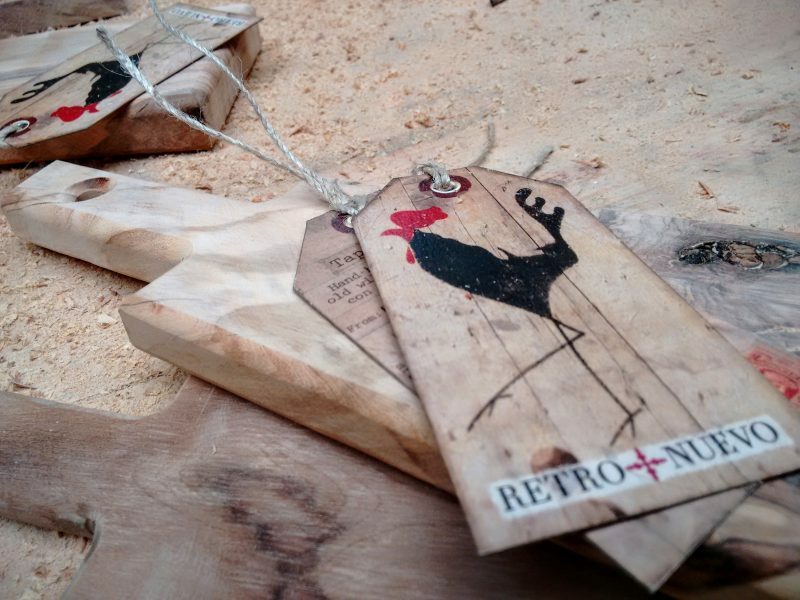 When my friends at RetroNuevo asked me if I’d adapt my cockerel design to make vintage style tags for their hand crafted tapas boards I agreed with relish (pun intended). 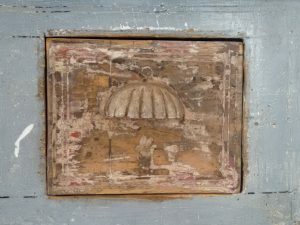 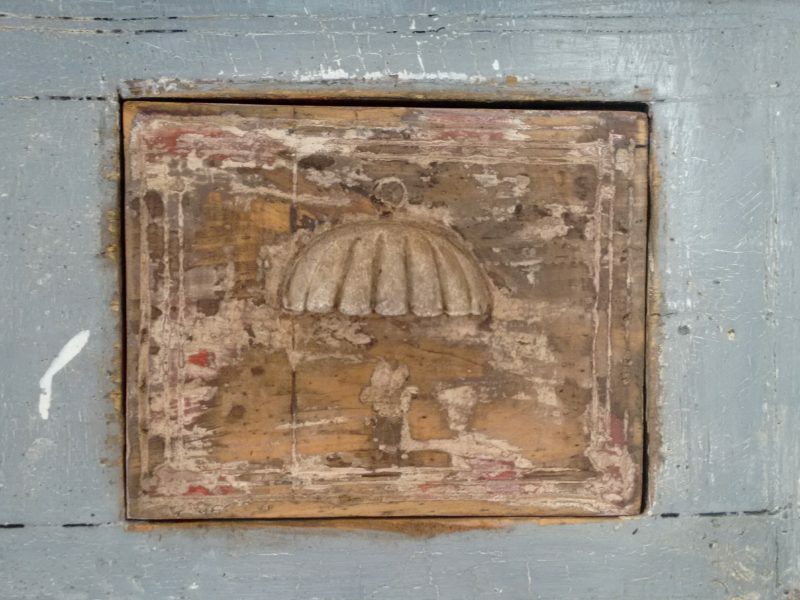 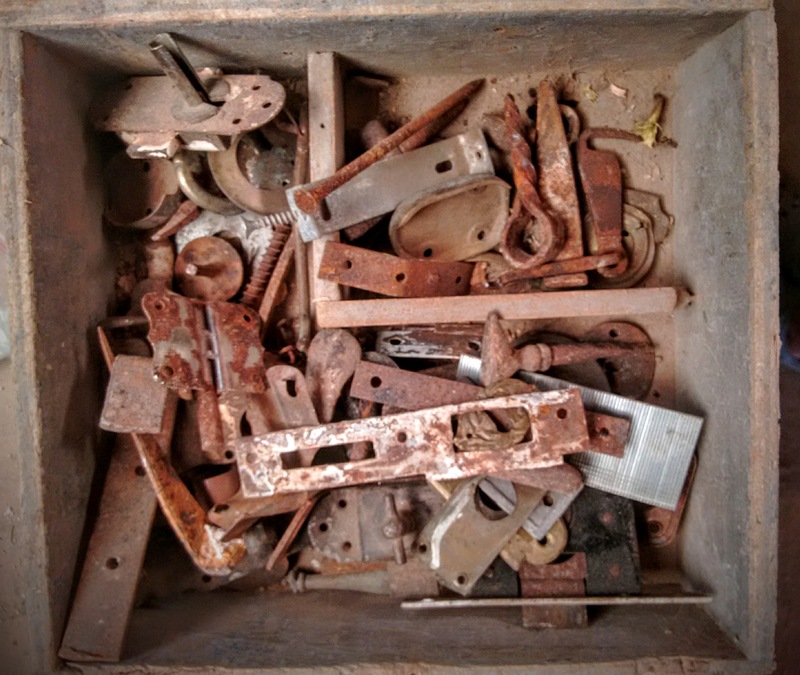 …as shown in these drawer details above and right. 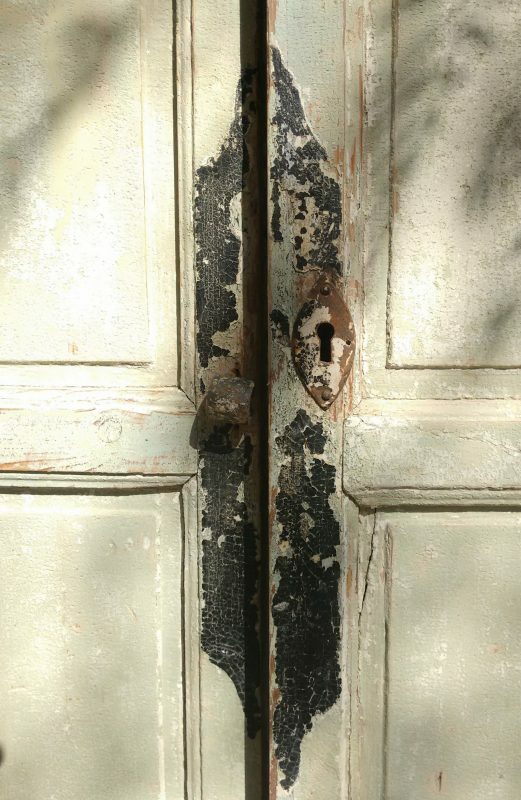 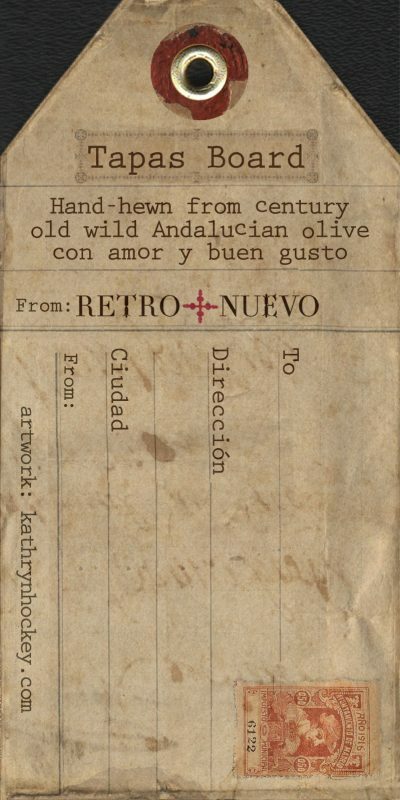 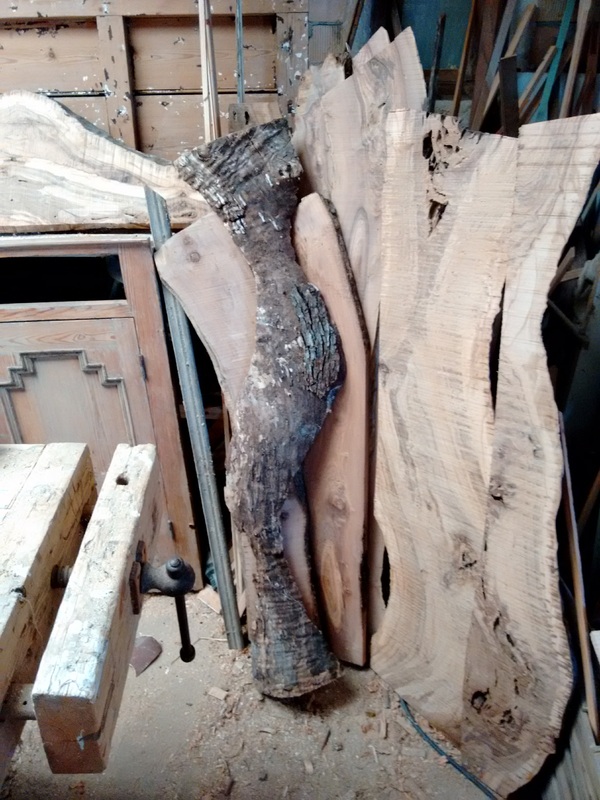 The wood was ‘harvested’ from century old wild Andalucian olive wood (acebuche) which had been felled naturally by the wind. 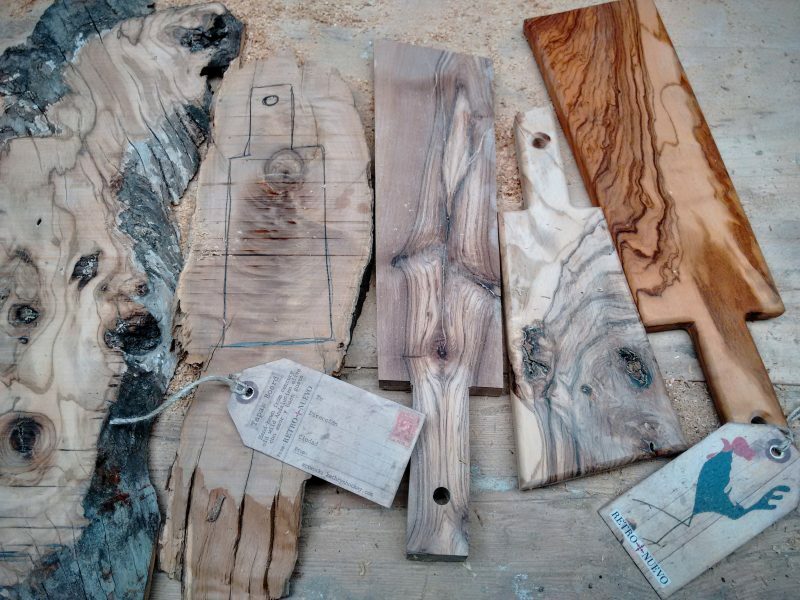 No live trees were harmed in this process! 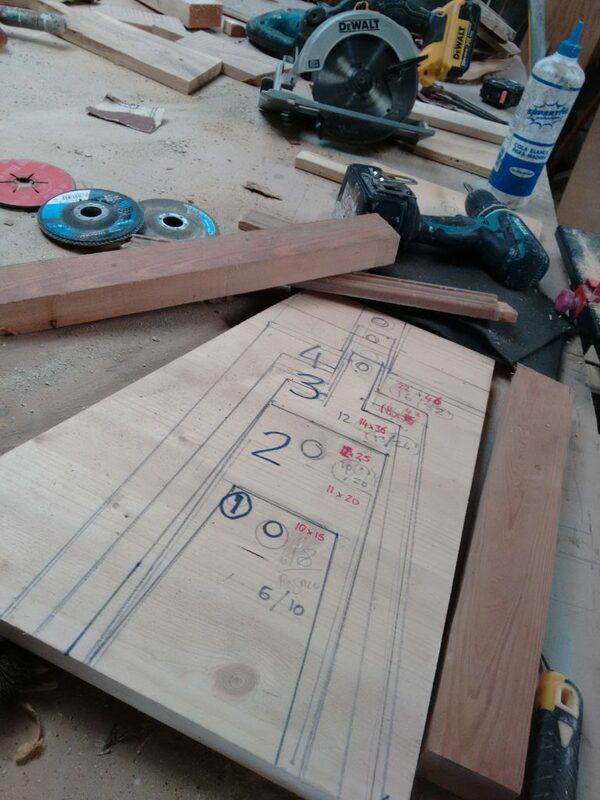 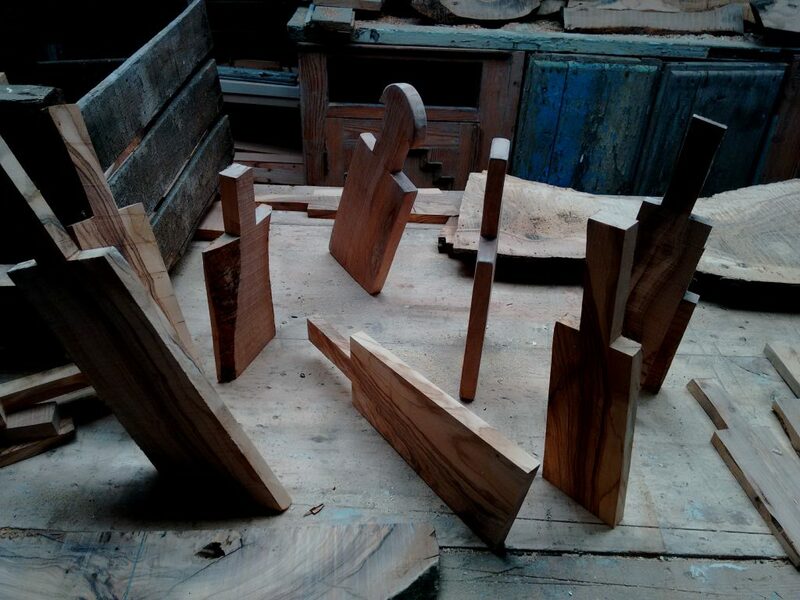 The tapas boards were lovingly hand-hewn from hefty planks, each one unique in shape and grain. 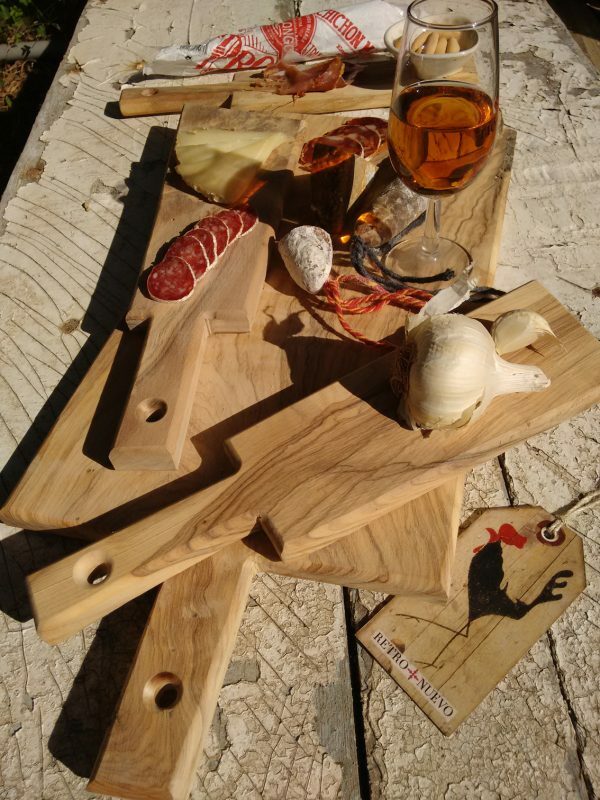 They’re ideal for cutting and presenting food – tapas style, I also see them as works of art in their own right. The double sided tags were printed locally on 300g watercolour paper to give them good heft and texture. 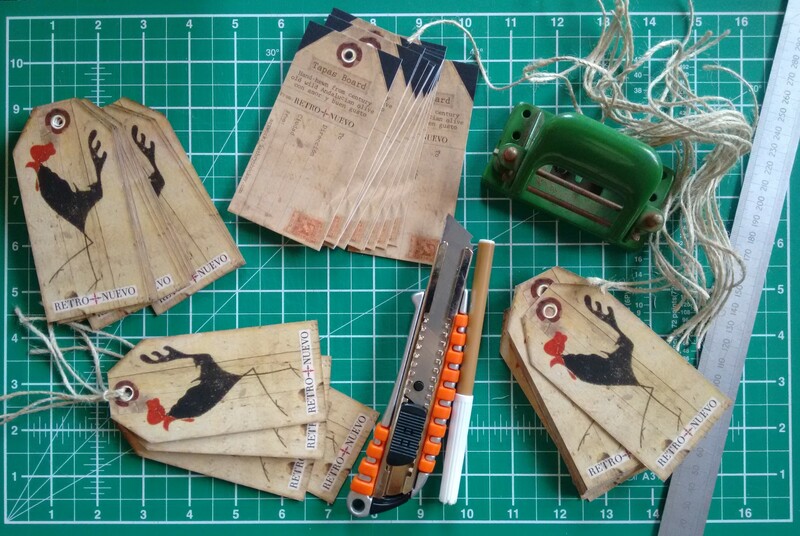 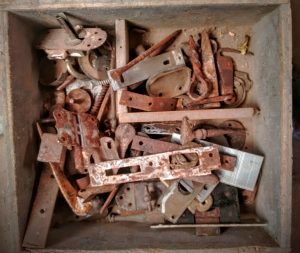 They were then cut, perforated with a hole punch and had their cut edges ‘aged’ with a brown felt tip pen before being strung with rustic twine. 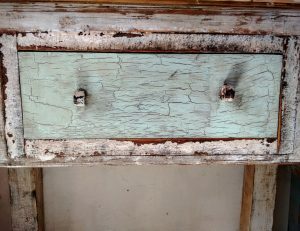 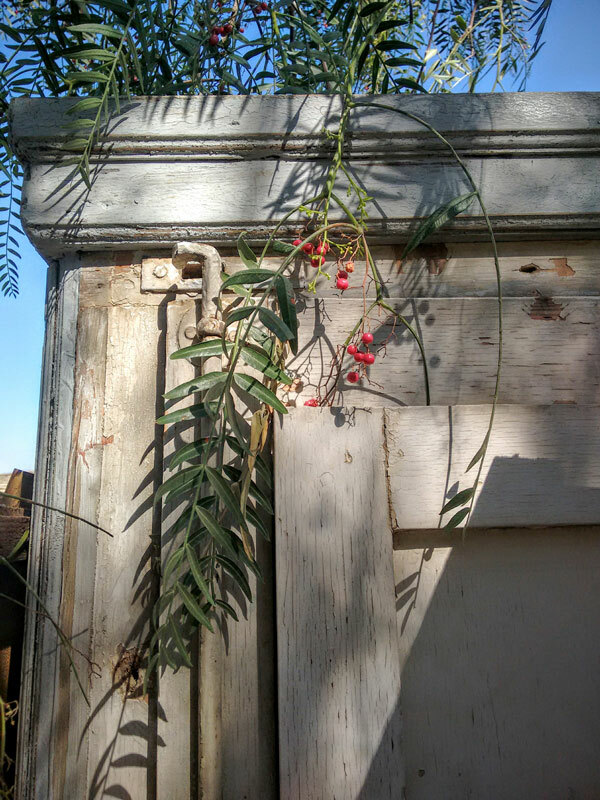 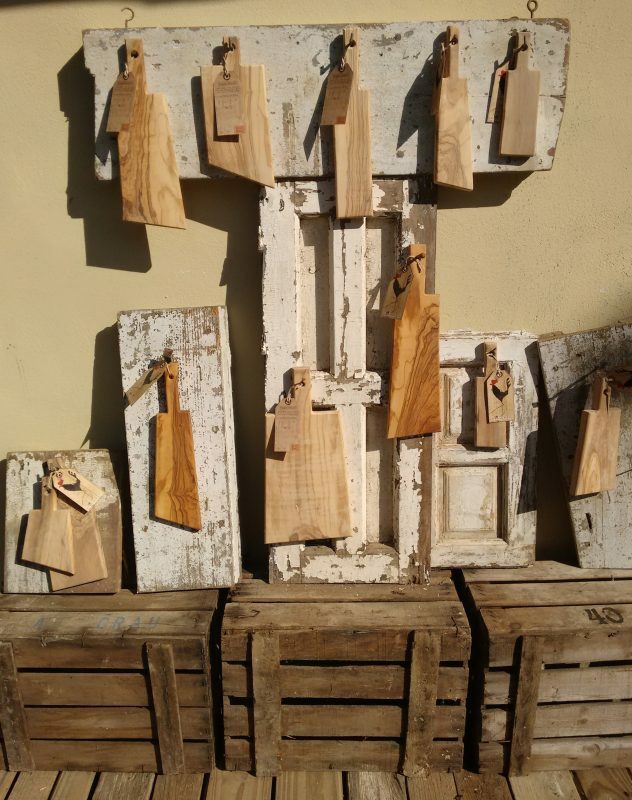 These gorgeous and versatile boards will soon be on sale with other delightful RetroNuevo items such as wardrobes, doors, benches, vintage crates, fittings and other reclaimed treaures at the pop-up shop in San Ambrosio, near Vejer on the 9th, 10th and 11th of December 12-3pm .